Of late, Artificial Intelligence is being used for an array of purposes but this one app uses it to convert your photos into an art masterpiece. Yes, we are talking about the Prisma app, which after rocking the iOS platform is soon coming to Android now. 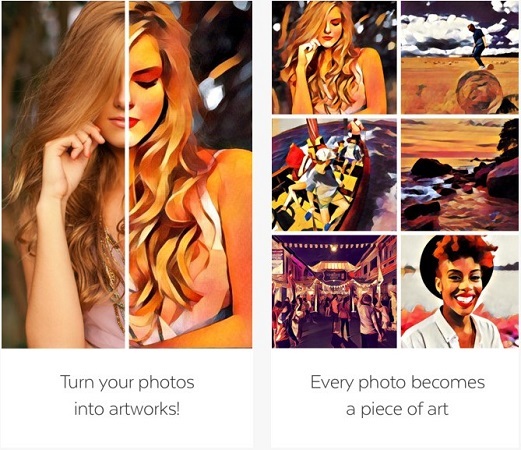 The company behind the overnight success Prisma app has announced that after iOS, the popular app is now coming to Android. While the company intends to release the beta immediately, the final version of the app is expected to hit the Google Play store by the end of the month. The Prisma for Android app would sport the same features seen in the iOS version. Users will be able to choose from an extensive list of beautifully designed filters inspired from artworks created by personalities like Picasso. The app will employ robust artificially intelligent algorithms capable of maintaining quality no matter what picture you choose. Further, the team behind Prisma has hinted some new features which include Prisma Video feature, 360-degree Prisma images and a long list of new ‘styles’ for you to transform your favourite photos into eye-popping bits of digital art. To register for the beta version, users need to visit the official Prisma website and sign up by submitting your details by clicking the ‘Sign Up for News’ button. You should then receive a Google Play download link to install the app. However, as of now the pace of the invites is apparently very slow. If you just still can’t wait, you can download the file from the unofficial source below.